I have always been a big BIG fan of hot chocolate. I'm certain I've tried everything from the cheapest form of Swiss Miss to the fanciest option at Williams-Sonoma. I'm a bit of a junkie, I suppose. I asked my facebook page & twitter followers the other day about their favorite store-bought Hot Cocoa and it made me think about hot chocolate for two days NON-STOP until I could get to the grocery store. I have to say, it's my favorite at the moment. Now, excuse me while I go stir up another serving. 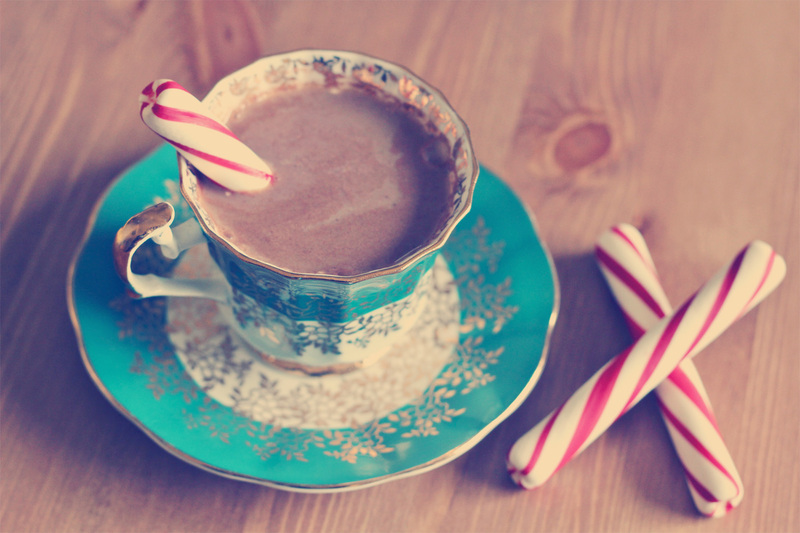 stirring with a peppermint stick (or candy cane) is one of my favorite things! I like to make homemade hot chocolate! 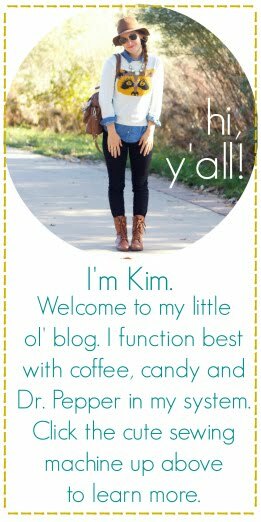 I use the recipe on the back of the Hershey's cocoa container! ...now I'll have to make some in the morning. that recipe is the BEST go-to! SO good, every time. i have sweet memories of making that with my granny when i was little. Land O' Lakes gourmet hot chocolate is a favorite around here. Which makes me think, I should probably start stashing up cause it has a tendency to disappear off the shelves. you're right, land o'lakes is so good! all of their flavors are SO yummy. Last year Sam's had a big variety pack. thank you! it was chase's grandmother's. i have a red one, too. i treasure both of them! Oh that looks so delicious. I have some generic hot chocolate downstairs that I've been meaning to make. I do plan on putting a drop or two of my pumpkin spice creamer in it though! YUM! Mmm.... that hot chocolate looks so yummy. Have you tried any of the Stephen's Gourmet hot chocolates? The Candycane Cocoa has me hooked, but I really want to try the peanut butter cup, and mint truffle. RUNNING to the office kitchen to grab a cocoa! Heat up some milk on the stove and stir in a scoop of nutella until it melts. My little guys' fave. love that vintage tea cup!! 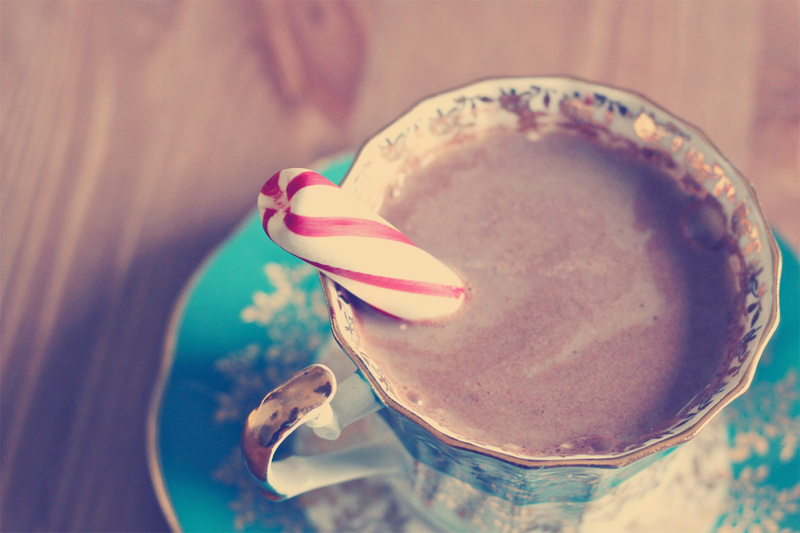 mm i could go for a hot cocoa right now!